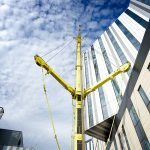 The £335million Royal Liverpool Hospital is a new, pioneering 13-storey healthcare facility containing 646 beds, spread across 23 wards, as well as a state of the artcritical care unit and 18 operating theatres. Work began on the site on 2014 and is expected to be completed in February 2018. John Sutch’s involvement in the scheme began at the beginning 2015 and the firm has since carried out over 100 contract lifts on behalf of the main contractor and various sub-contractors. Today, the firm is the sole lifting supplier to Carillion at the site. 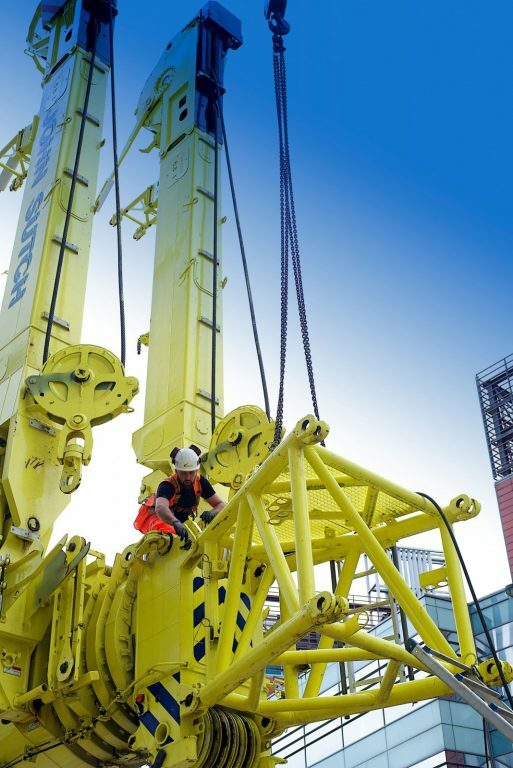 Liverpool-based John Sutch has used its entire fleet, from a 30 tonne Liebherr to a 350 tonne Liebherr, across a two-year and a half year period at the ambitious scheme. 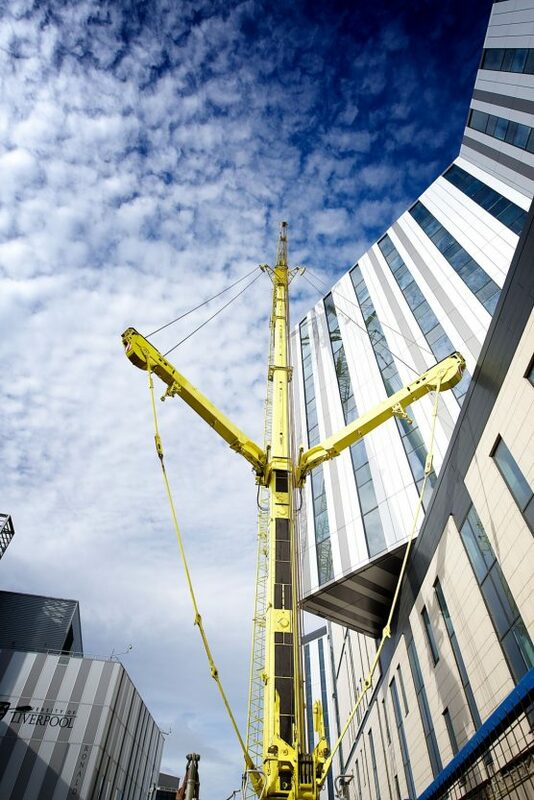 From lifts of air handling units to the roof, to elevation of glazing envelopes and lifts of roofing materials, John Sutch is now considered the go to supplier of cranes at this vast city centre healthcare scheme. Working collaboratively with Carillion, John Sutch has supported the main contractor with a series of technical and logistical challenges, developing workable and tangible solutions at the restricted access site. The firm’s ability to work at incredibly short notice has also been heavily utilised, often with under 24 hours’ notice prior to requirements on site. 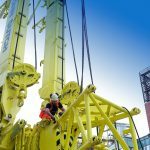 Erection of the larger 350 tonne Liebherr crane has typically been carried out during the weekend following installation on a Friday, with work carried out on Saturday and Sunday, and the crane dismantled on Monday. Works vary and range from removal of debris and waste to putting in place new trees and foliage. Such is John Sutch’s familiarity with the site, supply chain members at the Liverpool Royal scheme have opted to utilise the firm’s understanding of the project, supporting them in meeting their own specific niche objectives.